Whether you’re giving Veganuary a go in 2019, becoming a flexitarian, or fancy a change, brace yourselves for something magical. 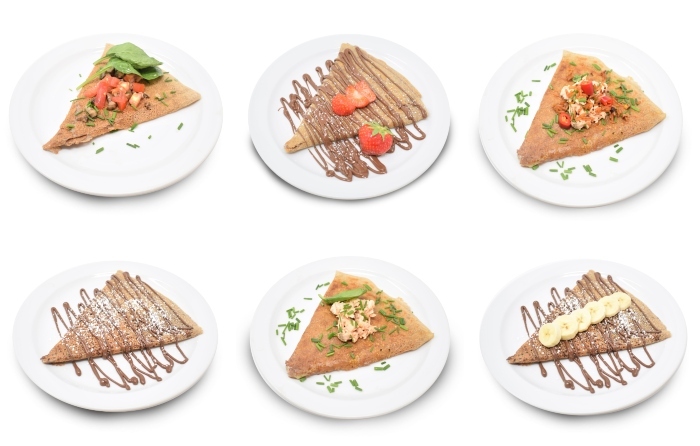 Create your own vegan treat from our plant-based fillings on your buckwheat galette including fruit, maple syrup, vegan butter or go savoury with fresh vegetables, vegan cheese & chick’n. For the coffee lovers – we’ve got various vegan milks, such as soya, oat and almond milk!